Jose Eduardo dos Santos is retiring after 38 years as Angola’s president. Earlier this year, ex-Defence Minister Joao Lourenco was confirmed as the veteran leader’s successor. Lourenco was handpicked by Dos Santos and has campaigned on an anti-corruption platform. His reputation as a clean politician has raised hopes for improved governance. Lourenco was a strategic choice for a party that has seen its popularity wane in recent years. As citizens head to the polls on Wednesday 23 August, a seemingly incorruptible military man capable of quelling internal factionalism may be the MPLA’s saving grace. Monday, 07:00 GMT – Portugal’s biggest commercial bank, Millennium BCP, announces that Angolan state oil company Sonangol has four months left to increase its stake in BCP above 20%, BCP’s share price has plummeted in 2017. The investment decision will be made by incoming President Lourenco. Monday, 07:30 GMT – In a $7.45bn share and debt deal, French oil major Total agrees to buy Maersk Oil from its parent company A.P. Moller, raising hopes for strengthened relations with Angola. Monday, 07:30 GMT – Forecasts of rising commodity prices create an air of optimism for oil dependent Angola. Analysts suggest prices will steady at $55 per barrel in late 2017 and rise to $60 in 2018. Monday, 08:27 GMT – Rumours spread that suspected UNITA and CASA-CE militants are insinuating insecurity and urging Cuanza-Norte inhabitants to seek refuge in Luanda in an attempt to suppress the vote. Tuesday, 00:05 GMT – CASA-CE claims it will use its own computer program to prevent vote manipulation. 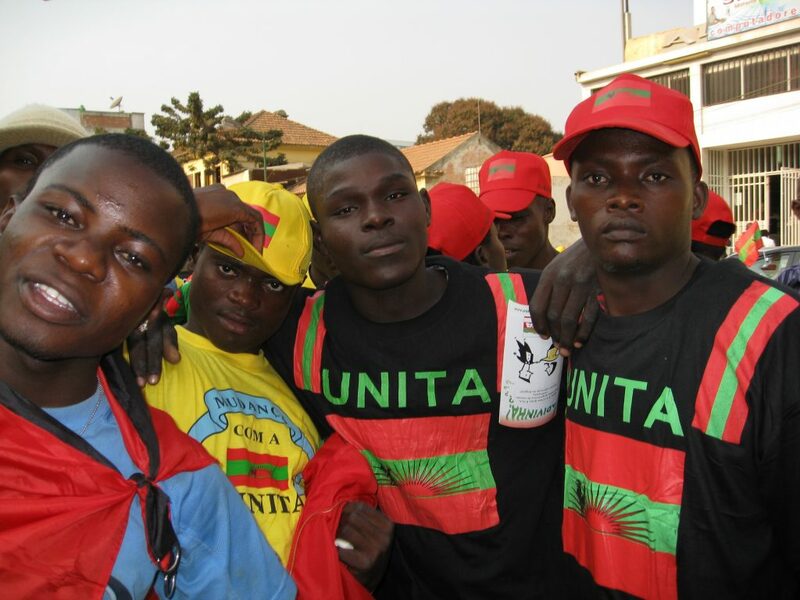 Tuesday, 00:23 GMT – UNITA repeats its threat to hold street protests in the event of unfair elections. Tuesday, 15:43 GMT – CASA-CE again says it will publish its own election results. It does not trust the country’s electoral commission and alleges that the commission is an extension of the incumbent MPLA. Tuesday,18:30 GMT – Ex-Mozambican president Joaquim Chissano congratulates Jose Eduardo dos Santos for retiring as Angola’s president. Tuesday, 19:00 GMT – Announcement that polling stations will open at 07:00 and close at 19:00 local time. Tuesday, 19:28 GMT – Incumbent MPLA candidate vows he will not share power if elected as president. Tuesday, 20:04 GMT – 1,400 election observers get ready for Wednesday’s polls. Wednesday, 06:00 GMT – Polls open. Wednesday, 11:00 GMT – Angola’s police chief announces the deployment of 120,000 air and ground security personnel to ensure peace during the elections. Wednesday, 12:55 GMT – President of Constitutional Court urges all political parties to respect election results. Wednesday, 15: 53 GMT – Reports say that taxi drivers are offering voters free transportation to polling stations in Malange. Wednesday, 17:00 GMT – Strong downward trend in voter turnout. Reports say that polling stations are mostly empty, raising concerns that abstention will negatively impact the final vote count. Wednesday,18:00 GMT – Polls close. Wednesday, 18:48 GMT – CASA-CE commences its own parallel counting of votes. Thursday, 08:47 GMT – Reports that voting has been extended in 15 polling stations in 3 provinces. Electoral Commission has detected irregularities. Thursday, 11:20 GMT – Reports state incumbent MPLA claim it has secured a strong majority. MPLA fails to disclose numbers. Thursday, 16:44 GMT – Preliminary results announced. Electoral Commission suggests incumbent MPLA win with 64.57% vote share. UNITA takes an estimated 24.04% and CASA-CE 8.56%. Thursday, 17:40 – Opposition parties challenge Electoral Commission, imply results were manipulated. Thursday, 15:40 GMT – Parallel vote count conducted by opposition gives incumbent MPLA 51%, UNITA 36%, and CASA-CE 11%, suggesting a possible UNITA win. Friday, 07:55 GMT – Reports say the streets of the capital city, Luanda, are peaceful despite tensions over election results. Friday 09:30 GMT – UNITA states that it does not support calls for people to protest against election results. The opposition party claims it will only use legal means to contest results. Friday, 11:47 GMT – Recent reports on preliminary results suggest that the incumbent MPLA’s estimated vote share has dropped from an initial 64.57% to 61%. Friday, 18:30 GMT – According to preliminary results, incumbent MPLA has won the election with 61.1% of the vote. UNITA received 26.7% and CASA-CE only 9.46%. The results indicate MPLA will take 150 of the 220 parliamentary seats (down from 175), while UNITA will increase its position from 32 to 51. The two opposition parties reject the provisional results. Wednesday, September 7 – The electoral commission confirms MPLA won 61.07% of the vote, marginally down from the provisional results. The MPLA is set to take 150 seats to UNITA’s 51, CASA-CE’s 16 and 3 others. After Angola gained independence from Portugal in November 1975, a power vacuum plunged the country into a protracted civil war. 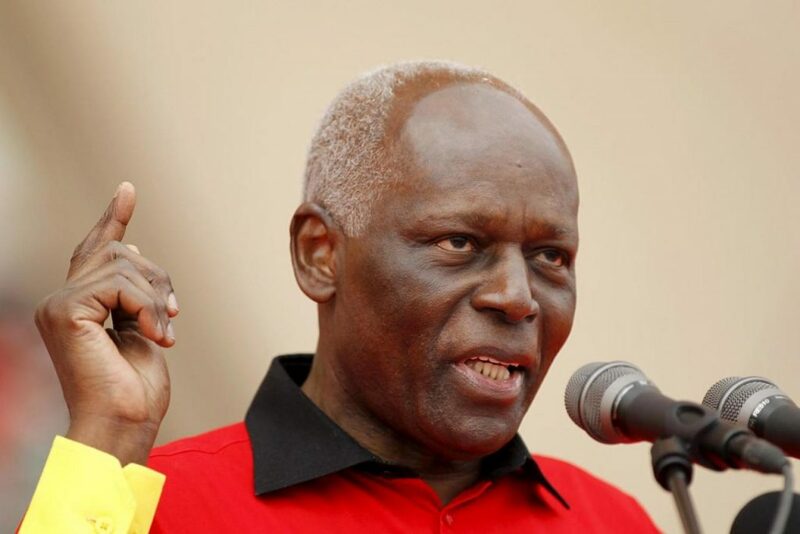 Jose Eduardo dos Santos came to office in 1979 following the death of founding President Agostinho Neto and in 1992, a multiparty system was introduced in a bid to end the civil war. Parliamentary and presidential elections were held resulting in an MPLA victory. The opposition party, UNITA, disputed the outcome and conflict resumed. Following the death of its leader in 2002, a weakened UNITA was unable to continue the armed struggle and the Angolan civil war came to a close. Angola held its first postwar elections in 2008, which the MPLA won in a landslide. The MPLA also won the 2012 elections with 72% of the vote. In the lead-up to Wednesday’s election, UNITA has made frequent calls for demonstrations in protest of MPLA leadership, presenting itself as the only party capable of maintaining post-war stability. Still the main opposition party, UNITA emphasises that Angola is an unstable state due to misrule by the incumbent MPLA. Its campaigning has focused on promoting multiculturalism as a strategy to capture MPLA voters and to dispel beliefs that Angolan parties tend to mobilise along ethnic lines. UNITA is committed to achieving social progress by loosening the Dos Santos family’s stranglehold on the Angolan economy. While Angolan political structures allow for an opposition-controlled legislature, opposition parties acknowledge that such control would not loosen the MPLA’s grip on the country’s economy, particularly the oil and diamond sectors. Another key opposition player, CASA-CE, was formed by a former deputy UNITA leader. A credible post-electoral coalition between the two parties would likely reignite tensions. 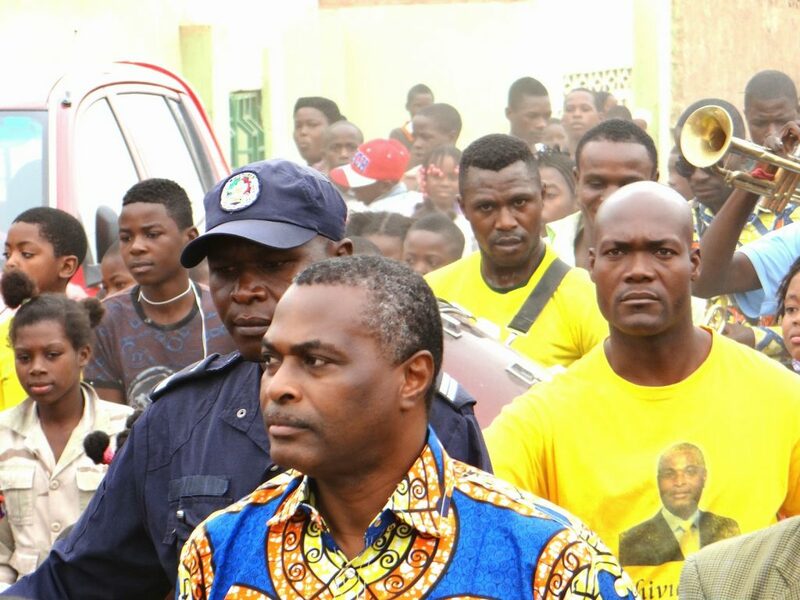 The Angolan separatist group Frente para a Libertação do Enclave de Cabinda (FLEC), which operates in the oil-producing enclave of Cabinda, called on residents to boycott Wednesday’s election. 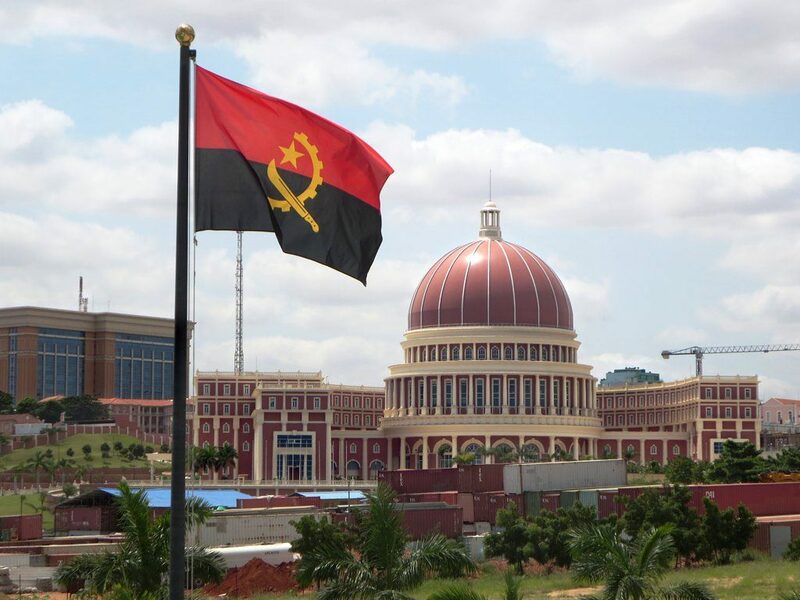 The group continues to engage the Angolan government in armed skirmishes and the call for a boycott signals that FLEC intends to intensify its armed campaign. Angolan opposition parties and groups use methods ranging from ballot politics, non-violent protests, armed confrontation and targeted attacks against civilians to contest power. The MPLA allows limited dissent and criticism, particularly if it is demonstrated through prescribed state channels such as electoral processes. The party-state requires a degree of openness in order to maintain its credibility in the eyes of the Angolan populace. Protests and partial reporting that is critical of the government is mostly disallowed. However, the MPLA would likely welcome critical reporting provided it equally criticised non-government actors. The MPLA utilises the rule of law to proscribe the activities of its populace. For example, the Entidade Reguladora da Comunicação Social Angolana (ERCA) was established in 2016 to oversee media organisations’ activity and ensure their reporting is balanced and ethical, while issuing journalistic licenses. The move was widely criticised by domestic and international actors. Another strategy is the creation and maintenance of socio-economic conditions that result in the general population’s preoccupation with survival. 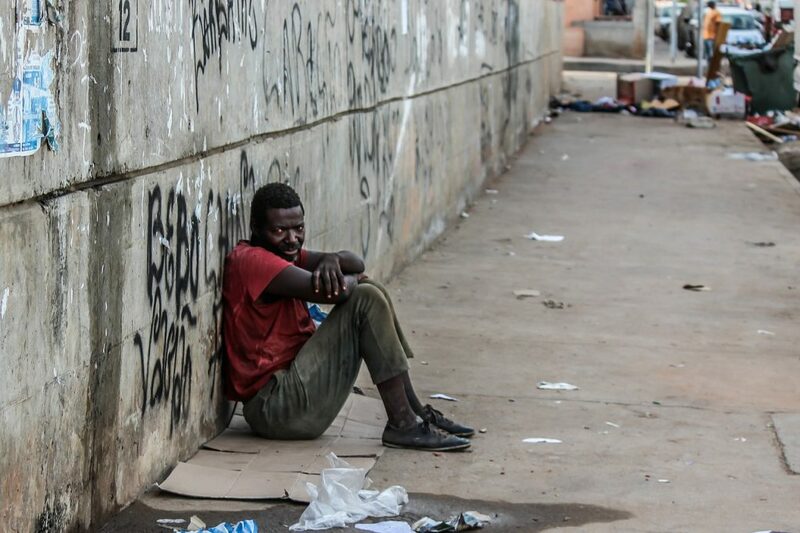 While Angola is no stranger to protest actions, high levels of poverty reduce the possibility of widespread anti-government actions, as Angolans lack sufficient resources to sustain such actions and are eager to avoid a return to civil war. Abroad, Angola has significant leverage over its former colonial power, Portugal. By utilising the country’s oil wealth, Angola has become Portugal’s economic lifeline. It is estimated that Isabel dos Santos, daughter of the outgoing president, until recently held a 19% stake in Banco BPI, one of Portugal’s largest banks. * Moreover, since the 2008 global economic crisis, about 500,000 Portuguese have descended on Angola in search of greener pastures. Dos Santos’ presidency has been crucial in the creation of a strong Angolan state. However, the long-serving leader’s succession by Lourenco ushers in a period of uncertainty. Moreover, the possibility of an opposition-controlled National Assembly as a result of Wednesday’s elections leaves Angola’s political landscape poised to be triply interesting. January 2010 – A newly adopted constitution empowers the legislature by enabling the party with the most votes and National Assembly seats to determine the president. The constitution leaves open the possibility of an opposition-controlled legislature. August 2012 – Angola holds its second set of post-war elections. The incumbent MPLA wins 72% of the vote and 175 parliamentary seats. UNITA secures 32 seats, while CASA-CE takes only 8 seats. October 2012 – Angola sets up a sovereign wealth fund, Fundo Soberano de Angola (FSDEA), worth an initial $5 billion for investment in infrastructure and international assets. April 2013 – A report by Corruption Watch UK details a suspicious debt repayment deal between Angola and Russia. The deal allegedly relates to arms purchases made between 1980 and 1991. The report claims that payments were coming from Angola’s state oil company, Sonangol. November 2013 – A confidential Interior Ministry report is leaked to the media alleging that Angola’s domestic intelligence service was responsible for the disappearance and killing of two protesters, who had been missing since May 2012. The intelligence chief is sacked. April 2015 – Angolan police raid the remote hills of central Huambo province to arrest Jose Kalupeteka, leader of the anti-authority Seventh Day Adventist sect, “Light of the World”. Authorities state the raid left 13 sect members dead, while UNITA claims that over 1,000 civilians were killed in an alleged massacre. November 2016 – Angola’s economy staggers despite a slight rise in oil prices across the globe between November 2016 and February 2017. February 2017 – Defence Minister Joao Lourenco is confirmed as Dos Santos’ successor and the MPLA’s presidential candidate. June 2017 – A draft law is published which will grant outgoing President Dos Santos immunity for acts committed over the course of his presidency. July 2017 – Political parties begin campaigning for August’s general elections. August 2017 – A poll reveals that while an MPLA electoral victory is likely, support for the governing party has dropped well below 40%—an unprecedented result. August 2017 – Angola becomes Chair of the Southern African Development Community (SADC) Organ on Politics, Defence and Security Cooperation. There is a high likelihood that the MPLA will secure a strong majority in Wednesday’s election. This would signal that the incoming president Lourenco successfully transformed negative popular perceptions of the incumbent MPLA. A landslide victory would do little to change the current Angolan political landscape. Increased civic unrest should be expected as opposition parties are likely to contest the outcome. A recent poll revealed that MPLA support has dropped from 72% during the 2012 election to just 38%. While the party will likely secure an electoral and presidential victory, it may not do so by a large margin. With UNITA estimated to take 32% of the vote and CASA-CE 26%, the election may result in an opposition-controlled legislature. A post-electoral coalition between the two opposition parties would significantly limit the MPLA’s ability to legislate as it is forced to water down its proposals. The impact of such an election result would be drastic. It would require the delicate balancing of four sets of distinct interests: those of outgoing President Dos Santos, incoming President Lourenco, UNITA and CASA-CE. While Dos Santos is stepping down as the country’s head of state, he will remain the leader of the MPLA. Moreover, his family effectively controls the Angolan economy. 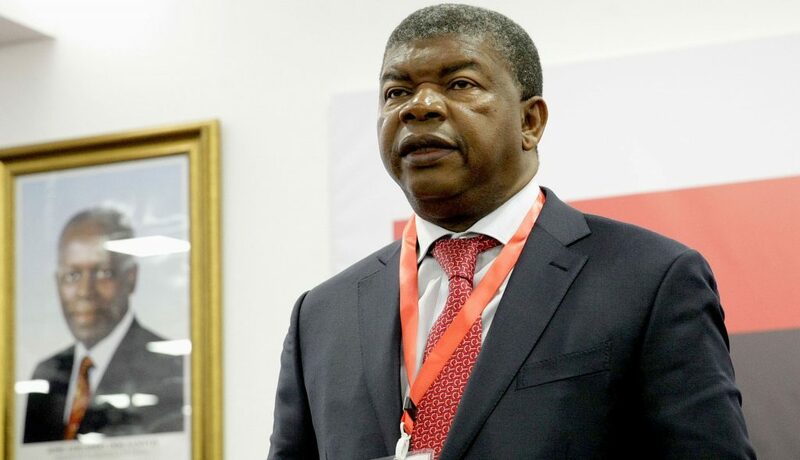 At the same time, an opposition-controlled legislature would signal that Angola’s political institutions have perhaps matured to a stage where they can manage conflicts between competing sets of interests. Although there is a low likelihood of an MPLA electoral loss, this result would send shockwaves across Angola. It would force the MPLA to form an alliance with one of the opposition parties Expect opposition parties to contest such a move as they would welcome an opposition electoral victory. The chosen opposition party would likely be marginalised within an MPLA-led alliance. Heightened unrest would follow. Despite the instability arising from either a landslide victory by the MPLA or an opposition-controlled legislature, the African Union is unlikely to realise the importance of moving beyond the promotion of elections as a peacebuilding measure. Angola is a clear example of the pitfalls of relying on elections for conflict mediation. If Wednesday’s election does not yield an opposition-controlled legislature or such control fails to increase the opposition’s political influence, it will be a matter of time before UNITA returns to armed strategies. Its offshoot, CASA-CE, would likely follow suit. Failure to explore alternative peacebuilding approaches will, therefore, have drastic consequences. If the election results catapult Angola into an unprecedented period of domestic instability, Angola’s non-African partners (namely Portugal, Russia, and China) will be able to gain advantage in negotiating favourable trade deals in the resources sector. Portugal would be able to temper Angola’s stranglehold on its economy. Overall, any actions taken by global partners would likely fuel further domestic instability in Angola. *Previous versions of this article suggested the younger dos Santos continued to hold her stake in Banco BPI. She sold her position during Caixabank’s takeover earlier this year.